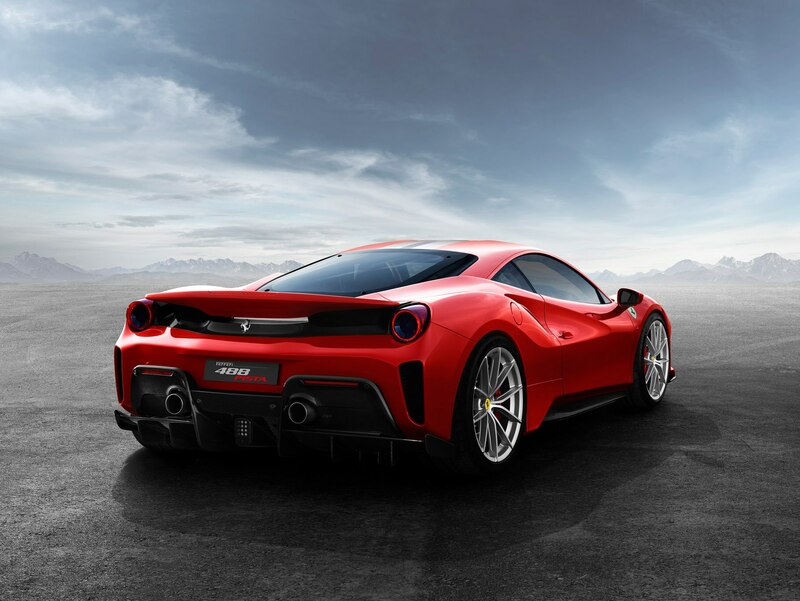 UPDATE: Following its reveal on February 21, the Ferrari 488 Pista made its public debut at the 2018 2018 Geneva Motor Show. 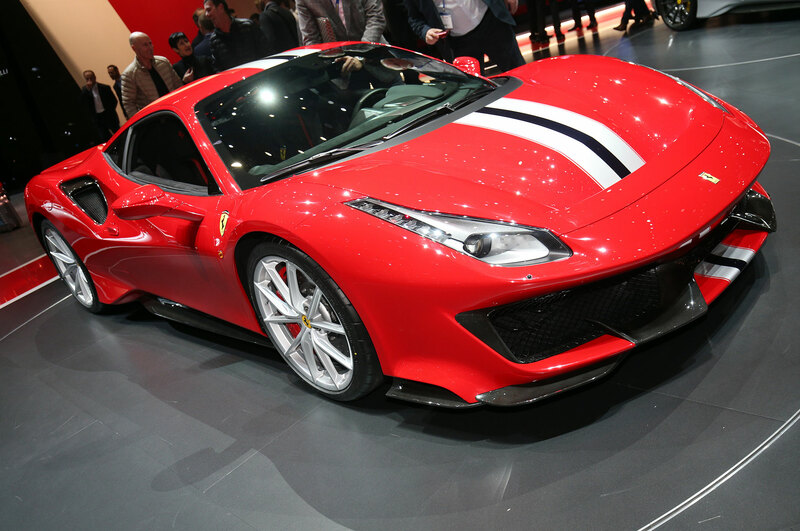 Pista means track in Italian—Ferrari could have named its latest Pizza and we’d still want one. 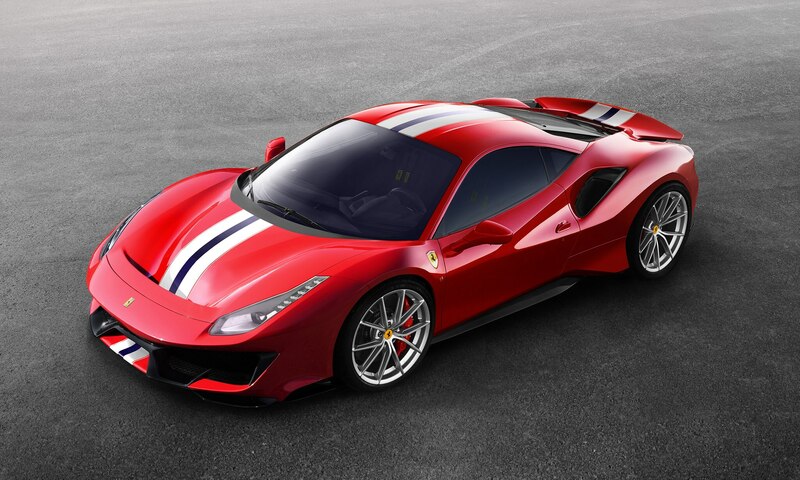 Ferrari says the Pista is the successor to its special V-8 series that includes the 360 Challenge Stradale, 430 Scuderia, and 458 Speciale. 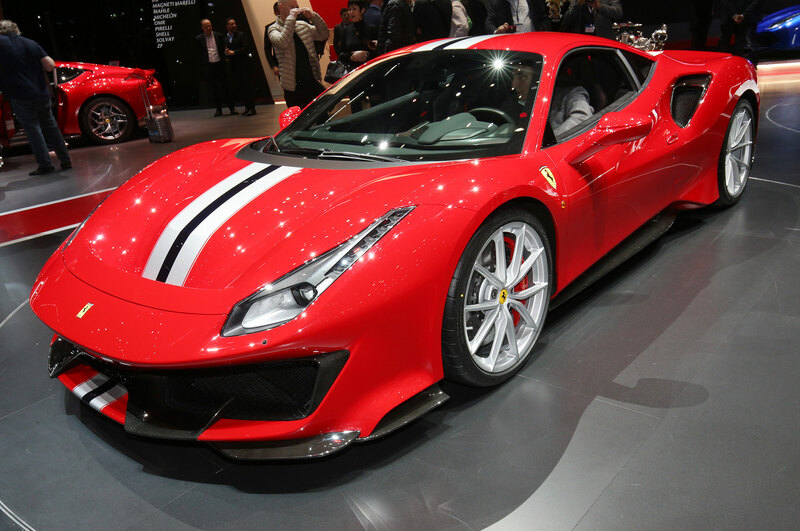 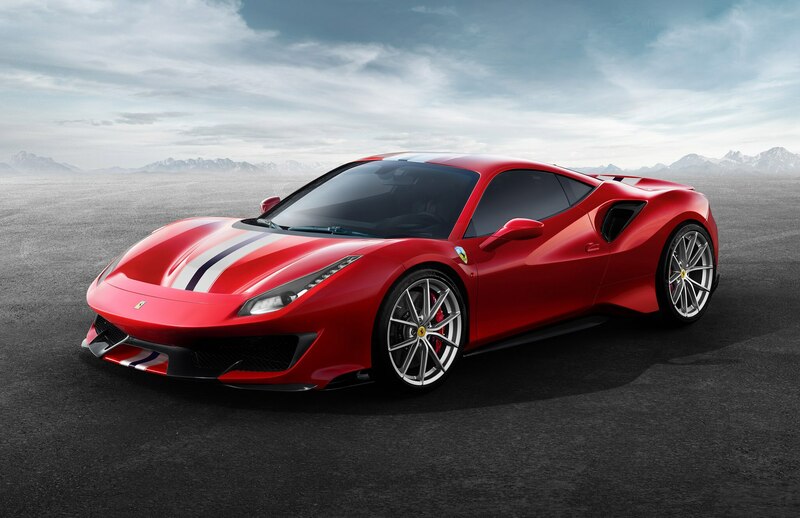 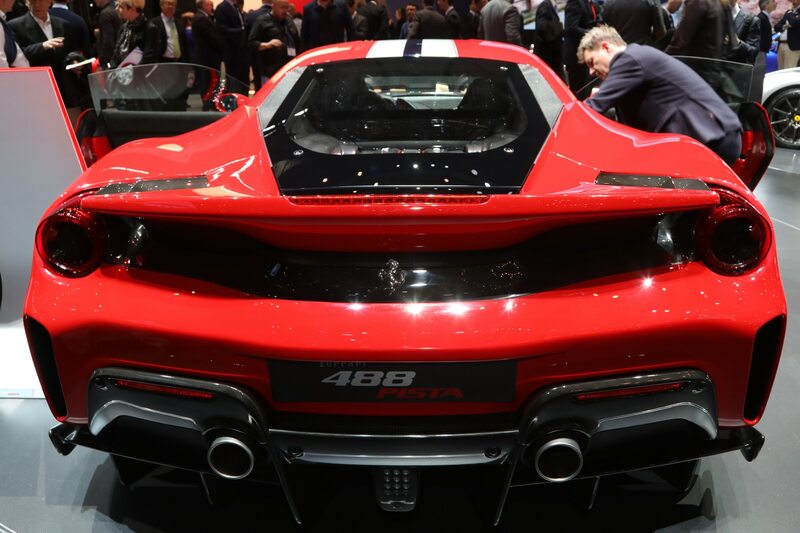 The 488 Pista packs a potent 3.9-liter twin-turbo V-8 engine that delivers 710 hp and 568 lb ft of torque. 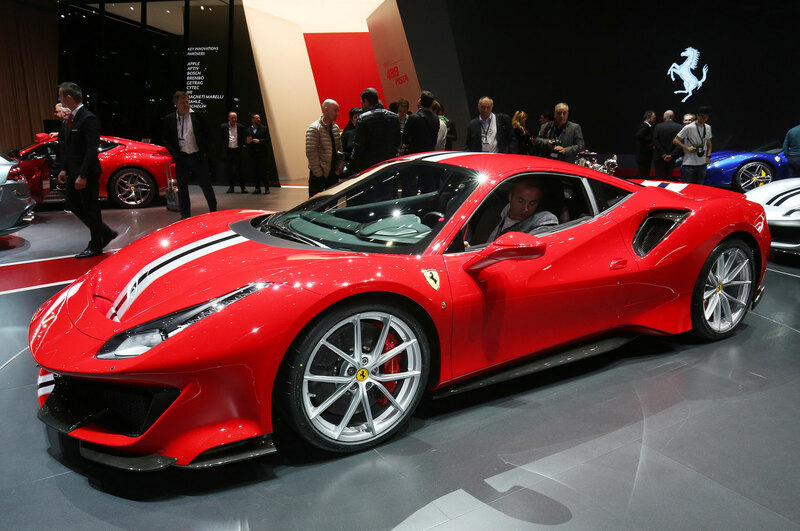 It can sprint from 0-60 mph in 2.8 seconds and has a top speed of 211 mph. 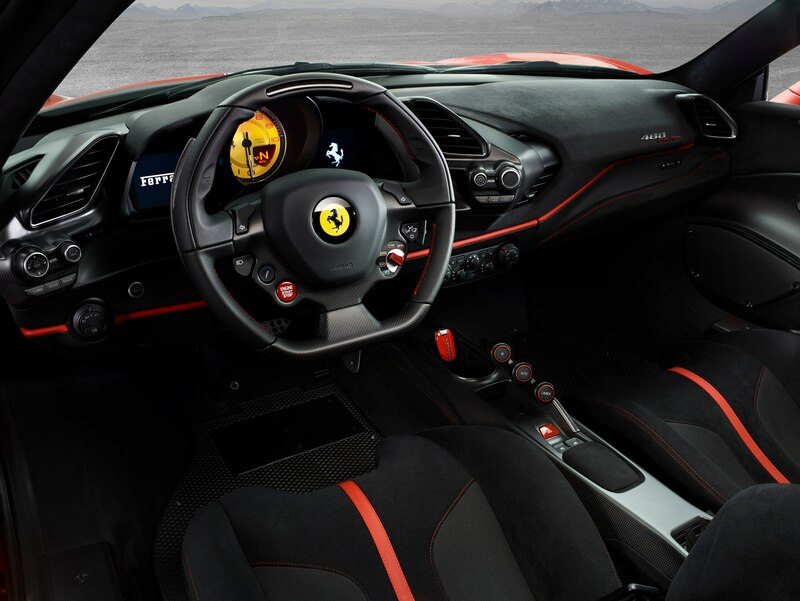 The engine is mated to a 7-speed dual-clutch automatic transmission. 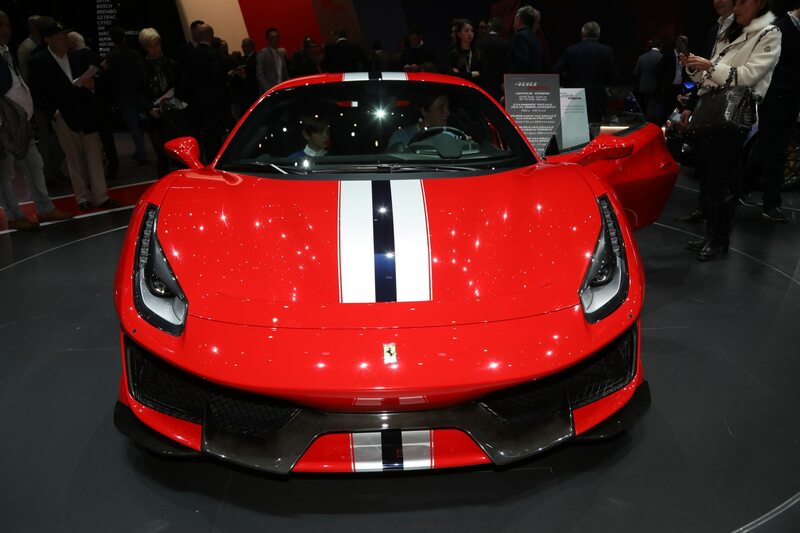 Up front, the hood gets an F1-inspired S-Duct and a white and blue stripe that starts down low between the front diffusers. 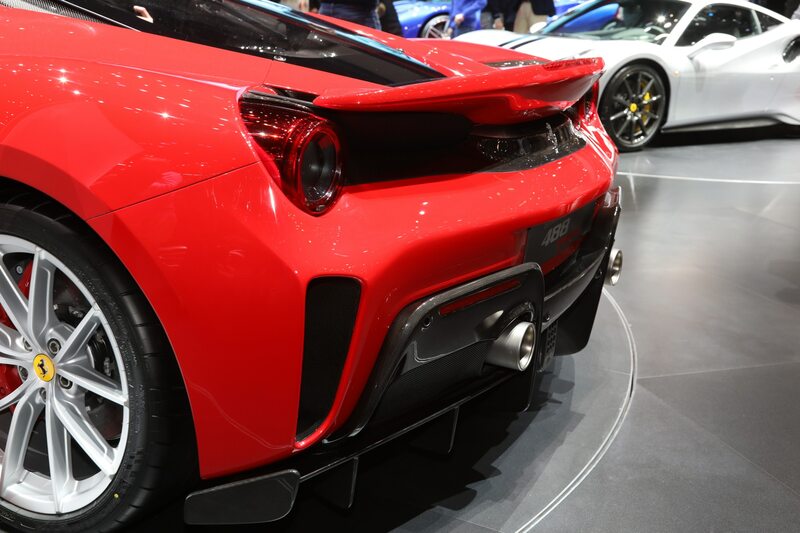 The racing stripe continues over the curved roofline and exits off the carbon-fiber rear spoiler like a ramp. 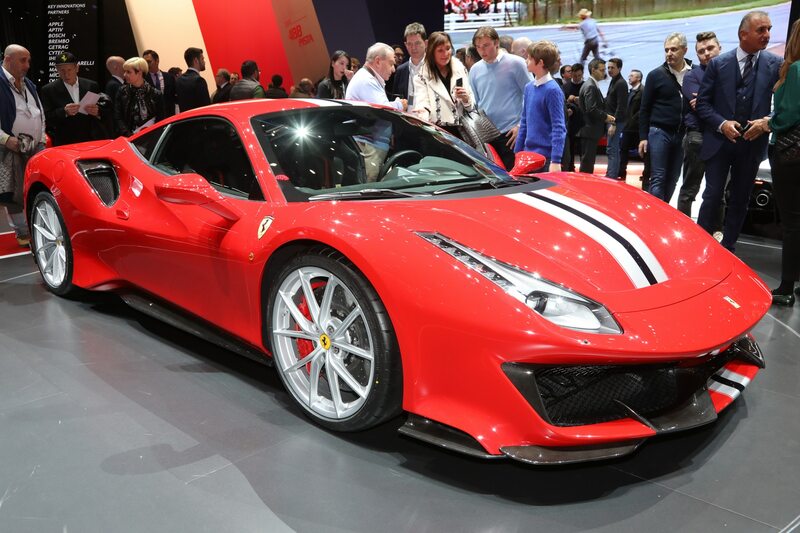 The Pista weighs in at 2822 pounds, which is 200 pounds lighter than the 488 GTB. 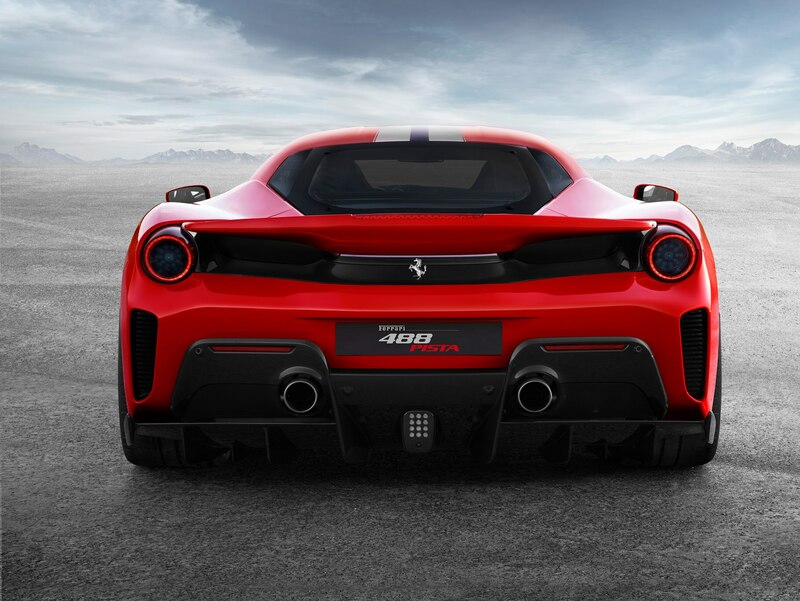 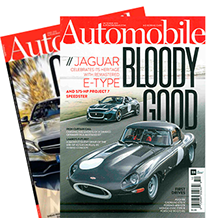 Like the 488 Challenge, it sports Inconel exhaust manifolds, and a lightweight crankshaft and flywheel. 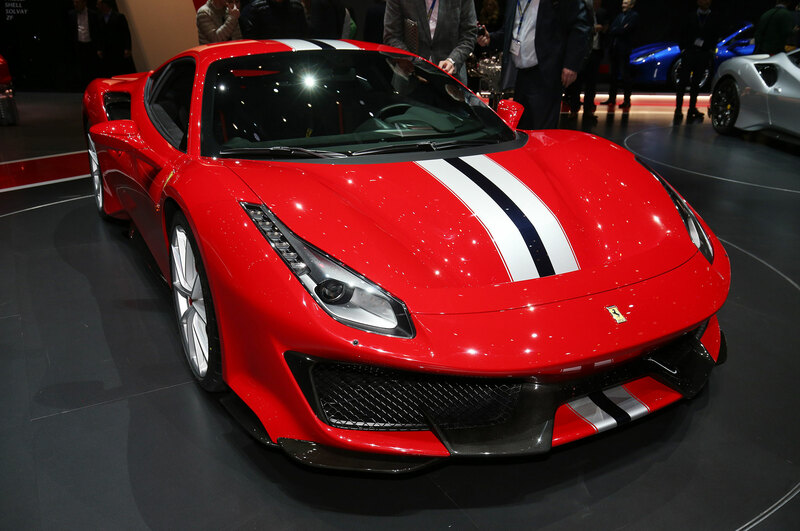 It also features titanium con rods and carbon-fiber intake plenums. 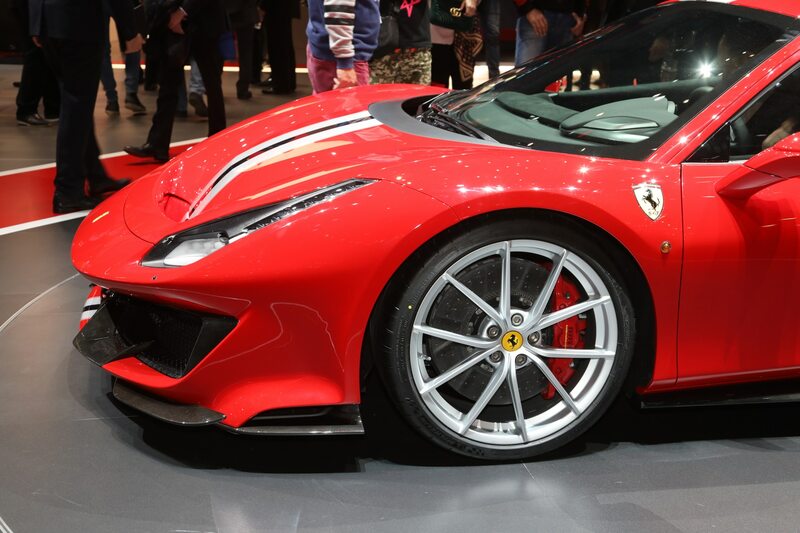 It measures 181.3 x 77.7 x 50.4 inches and rolls on 20-inch carbon-fiber wheels with specially designed Michelins. 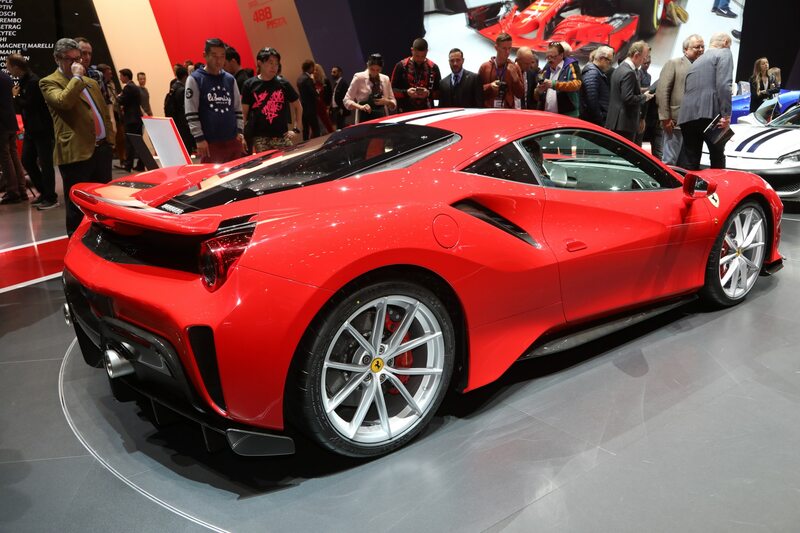 Pricing hasn’t been announced yet, but we’ll know more about the Ferrari 488 Pista when it bows in Geneva on March 6. 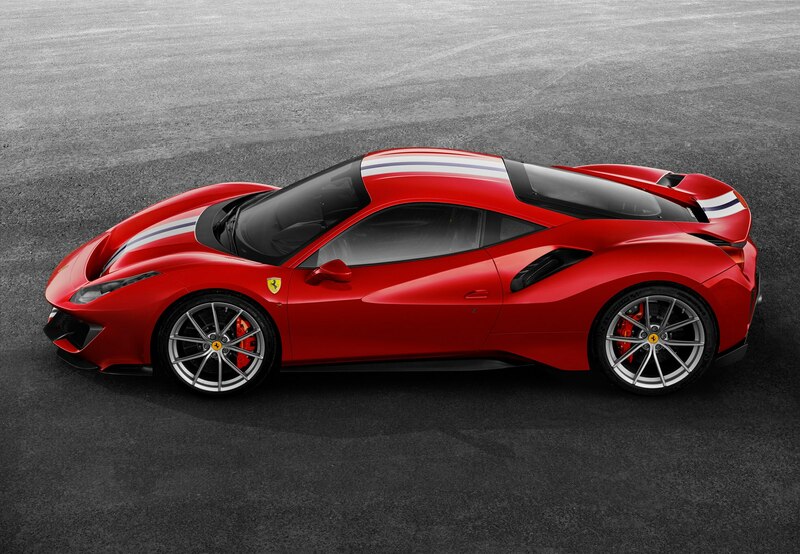 Commissioned by a collector, it’s based on the 488 GT3 race car.